Ottawa – The Honourable Steven Blaney, Minister of Veterans Affairs and Minister for La Francophonie, and the Honourable Peter MacKay, Minister of National Defence, today unveiled the new Bomber Command honour, in the form of a bar to be worn on the ribbon of the Canadian Volunteer Service Medal (CVSM), and announced that applications are now officially being accepted for this honour. "Our Government announced its intention to create a Bomber Command honour, and we are now pleased to unveil this honour today," said Minister Blaney. "With this bar, our Government is honouring those Canadians who fought for peace, freedom and democracy through their service in Bomber Command, and in particular the approximately 10,000 who made the ultimate sacrifice." "Fifty-thousand Canadians defended our commonwealth and our country’s freedoms and values by serving and sacrificing for the greater good through Bomber Command operations," said Minister MacKay. "Our Government, and Canadians across the country, are proud to extend our heartfelt gratitude by acknowledging their selfless efforts with the Bomber Command honour. Lest we forget." The existing Order-in-Council governing the Canadian Volunteer Service Medal has been amended to include the eligibility criteria and the description of the new Bomber Command honour. All Canadian Veterans who were awarded the CVSM and served a minimum of one day with Bomber Command, regardless of rank or role, are eligible for this new bar. 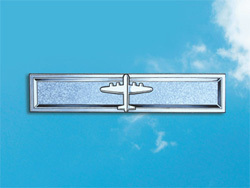 Loved ones of a deceased Canadian Bomber Command Veteran who hold the Veteran’s CVSM may also apply to receive this bar. Processing priority will be given to applications received from living Canadian Bomber Command Veterans or their surviving spouses. "The Air Force Association thanks Minister Blaney and the Harper Government for their continued efforts to recognize the sacrifices and contributions of Bomber Command,” noted National President of the Air Force Association of Canada, Colonel (Ret) Terry Chester. “We see this as a significant and memorable step in the recognition of these unsung heroes." The effort of the approximately 50,000 Canadians who served with the Royal Canadian Air Force (RCAF) and the Royal Air Force (RAF) in Bomber Command operations over occupied Europe was one of Canada’s most significant contributions during the Second World War. Some 55,000 Allied airmen would lose their lives in flying accidents, by enemy action in the skies over Europe, or in prisoner of war camps. According to the front page my morning newspaper - the Toronto Star - the first bars were officially presented over the weekend to Canadian Bomber Command veterans. Bomber Command had, I think, the highest casualty rate of any service in WWII except perhaps the Kreigsmarine U-boat service. I also know that "Bomber" Harris was the only major British war time leader not to be honoured with a title after the war, as a direct result of the civilian casualties and, perhaps, the bombing of Dresden. As a friend pointed out, if he had been a German we'd have tried him for war crimes! Not arguing it wasn't necessary in the new 'total war' but a serious embarrassment afterwards. My question, and its a genuine one, is twofold: have the Bomber Command men been cheated of real recognition all these years and is this a solution? I think many would argue, and I tend that way myself, that lots of men had a hard hard war and that the intent of the medals, including the CVSM, is to recognize everyone who volunteered/fought. Once we go down the 'bar' route, where does it end? Dieppe? St Nazaire? Atlantic Convoys? Secondly, and equally important, is the 'lack of respect/recognition' a real and serious issue or a piece of politically correct revisionism? As has been said in another similar thread, there is no question that this recognition is long, long overdue and should have been more immediate after the war. No question, these men are deserving and were "slighted" due to the some early "political correctness" in the post-war period due to the "stink" of Bomber Harris and a desire of the Government of the time to distance itself from any unpleasant memories. However late in coming, the recognition is appropriate. However, we have to be realistic; there is a large dose of "politically correct revisionism" motivating the current decision to recognize these veterans. And, point of fact, even Bomber Harris didn't wait long for a knighthood and only had to wait until 1953 for his baronet. 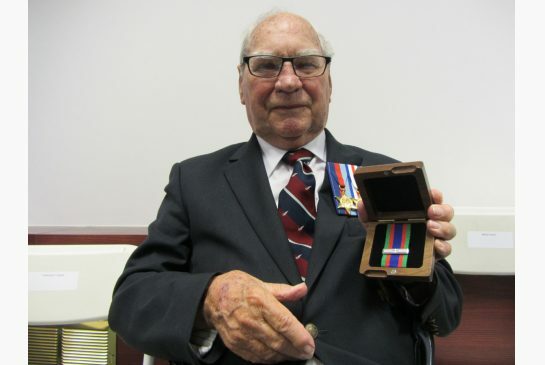 "I think many would argue, and I tend that way myself, that lots of men had a hard hard war and that the intent of the medals, including the CVSM, is to recognize everyone who volunteered/fought. Once we go down the 'bar' route, where does it end? Dieppe? St Nazaire? Atlantic Convoys? Secondly, and equally important, is the 'lack of respect/recognition' a real and serious issue or a piece of politically correct revisionism?" Hear hear!!!! Far too little, far too late, and more and more obviously "for" politicians feeling good about themselves now that almost everyone actually there is dead. 14 vets were honoured. One pointed out that most of his mates had died already. I agree with your assessment of the motives behind this particular action now. Plus, free brownie points and possibly votes for the current regime, which doesn't even describe itself as the 'Government of Canada' but the 'Conservative government'. Henry James Hewett of Oshawa shows off the bomber command bar he received Monday, an honour finally bestowed nearly 70 years after the war. Henry James Hewett remembers quite clearly one of the scariest moments he ever experienced as a navigator with the Royal Canadian Air Force during the Second World War. During a routine trip, his plane was struggling to maintain height after one of its four engines malfunctioned. The team had to abort its mission but somehow get rid of the load of bombs before trying to land. It’s “pretty tricky” to land a plane carrying a full bomb load, Hewett said, but no matter what the crew tried, they couldn’t get it to unload. “We couldn’t shake it, couldn’t lose it, we couldn’t get rid of that bomb load at all,” he said. And, despite being instructed to bail out, the team decided to stay with their pilot, who was adamant about not abandoning his plane, and attempt a landing. “He was a pretty good pilot, he was, but he landed a Lancaster (plane) with a full bomb load on just three engines . . . that was scary,” Hewett said, chuckling at the memory seven decades later. On Monday, the Oshawa resident and 13 other GTA veterans became the first bombers to be recognized belatedly for the work they did in similarly sticky situations — and the sacrifices they made. Of about 50,000 Canadians who served in bomber crews during the war, nearly 11,000 died. The handful of veterans was the first to be presented with new Bomber Command Bar, to be worn on the Canadian Volunteer Service Medal awarded to those who served 18 months during the Second World War, during a ceremony at the Canadian Forces College in Toronto. Minister of Veterans Affairs Julian Fantino personally thanked each veteran and said still more veterans, or their surviving family members, are coming forward to claim the bar. “These commemorative ceremonies will be taking place right across the country, as quickly as we can process them,” Fantino said. The bar was announced over a year ago, around the same time as a memorial for the bomber command was unveiled in England. The bombers were long unrecognized because of the nature of their mission, which grew controversial after the war was won. Although bombing was instrumental in ending the war, the heavy toll of civilian casualties near the end, particularly of Dresden, created discomfort in the upper ranks. Press release from the Canadian Government, Veterans Affairs Canada. 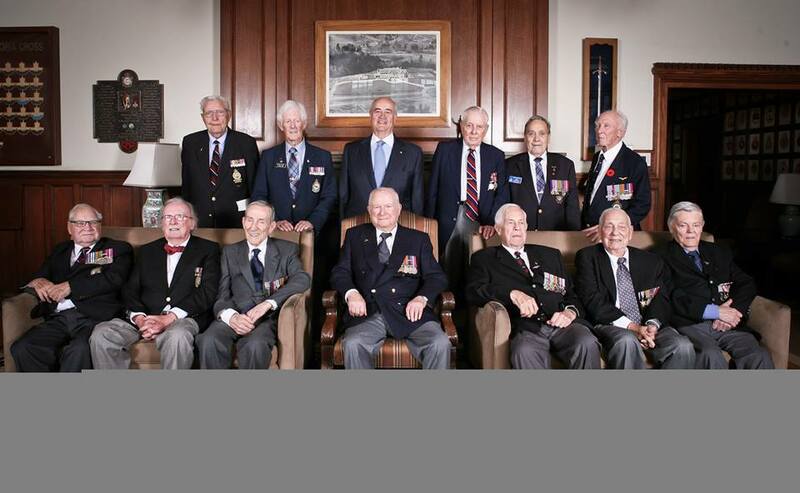 Toronto – The Honourable Julian Fantino, Minister of Veterans Affairs, today made the inaugural presentation of the new Bomber Command Bar to Veterans at a special ceremony held at the Canadian Forces College in Toronto. Veterans of Bomber Command and their families, including those representing deceased Veterans, were in attendance for the ceremony on the grounds of the former Royal Canadian Air Force Staff College. 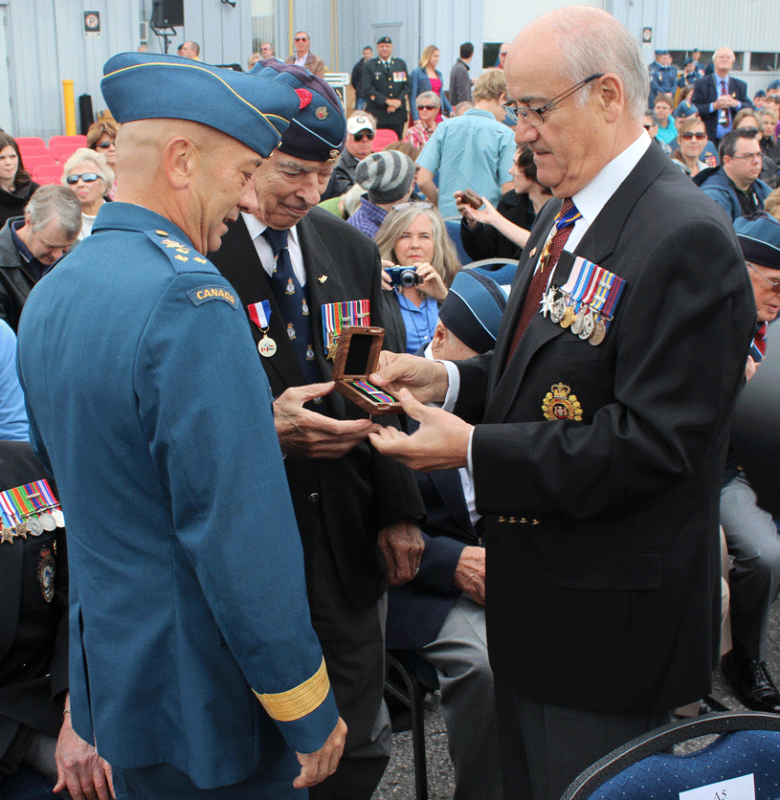 "Today, our Government is proud to honour Canadians who served in Bomber Command operations during the Second World War by presenting them with the first Bomber Command Bar," said Minister Fantino. "The brave men who served with the Royal Canadian Air Force (RCAF) and the Royal Air Force (RAF) in Bomber Command operations did so at a very heavy cost; approximately 10,000 of them paid the ultimate price, losing their lives in the skies of Europe, in training accidents or in prisoners of war camps. There is no question that their courage and dedication played an important part in bringing victory to the Allies in the Second World War." "The Bomber Command Bar recognizes Canadian Bomber Command Veterans for their commitment and bravery in facing some of the most difficult odds of the Second World War," said Minister Nicholson. "Despite great risk—almost half of all aircrew never made it to the end of their tour—thousands volunteered. The nation stands forever grateful for their service, and we will always remember and honour their bravery and sacrifice. Lest we forget." "The Royal Canadian Air Force Association is pleased and delighted that the realization of this significant decoration and recognition is finally at hand," said Colonel (Retired) Terry Chester, National President of the Royal Canadian Air Force Association. "Our loyal and brave airmen have waited patiently for this moment; many, sadly, are not now here for this auspicious moment, but we will remember them as we honour those who continue to carry the torch. Per ardua ad astra!" Canada played a vital role in the British Commonwealth Air Training Plan (BCATP), a wide-reaching plan that was jointly undertaken by Great Britain, Canada, Australia and New Zealand, whose graduates formed the backbone of Bomber Command. Many of the Canadians who trained under this program served with RCAF squadrons in the No. 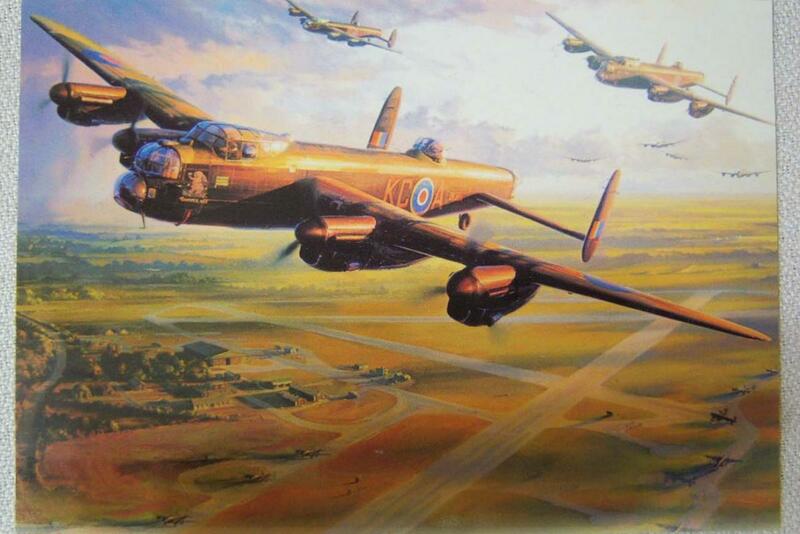 6 Bomber Group—the only non-British group to serve in Bomber Command. By the end of the Second World War, No. 6 Bomber Group had carried out more than 40,000 sorties and approximately 8,000 decorations for bravery were awarded to its members. The Government of Canada created this official honour to formally recognize these brave Canadians. In addition to the creation of the Bomber Command Bar, the Government of Canada also helped in creating the new Bomber Command Memorial in London, United Kingdom. This memorial honours all members of the Bomber Command from Allied countries and those who made the ultimate sacrifice. For more information on Canada’s role in Bomber Command and the Bomber Command Bar, to apply online for the honour or to download a hardcopy of the application form, please visit veterans.gc.ca. That's it? That's the bar? Good Lord! They didn't lose too much sleep coming up with a design did they? The other option would of been to use the British version... Best of the worst??? Yeah, I'd have gone with the British design, were I doing it. I'm glad, politics aside, that the vets now feel vindicated, though some of my reservations about motives and revisionism remain. Frank, thanks for posting the two articles I had alluded too but wasn't [whatever] enough to include in my initial post. There have been a few comments on the appearance of the Bomber Command Clasp. As usual, I am in disagreement in regards to the looks and design of the clasp. If it were to follow the British example, it would look silly as it goes on the CVSM. Not a Star like the British Design. Photo compliments of Mervyn Mitton. Personally I think the design has an understated elegance about it. The clasp for overseas service is a silver maple leaf and the addition of a bar shouting the fact that the wearer was a member of bomber command would be crass. Not to say that all bars sporting the name of the battle or area of service is crass, far from it. However to mix the two styles certainly runs the risk of looking trashy. It would be difficult to have used recognizable symbols on other clasps of the past and the one that comes to mind would be the Africa Star. With the different clasps, 1st Army, 8th Army and North Africa 1942-43 the use of a symbol would have been quite confusing indeed for any member of the public seeing the medal worn by the recipient. I think the same would be true with any of Campaign Medals of the Second World War that qualified for a clasp. The clasp taking the place of a second medal for whichever campaign the clasp represented. As to using the image of bombs is concerned I believe this would have been met with a great deal of criticism. As I have mentioned before on this forum there was a short lived movement in Canada during the mid 1970s condemning the bombing of German cities by Bomber Command, this included the RCAF of course. Many of the WWII bomber crew members were left feeling betrayed by these people who had never sacrificed the smallest part of their comfortable lives to serve their country. There were even documentaries made and featured on television voicing the concerns of these sheltered and pampered members of our society. In my opinion, the inclusion of the images of bombs would not have set well with the veterans; this view being based on the many Canadian Air Force crews I knew while growing up. The last point I would make is that the Airmen were not “in love” with the ordnance they carried but with the aircraft itself. So many times I’ve heard the praises, and occasionally the complaints, of this aircraft or that aircraft; never the attributes of a bomb. I, for one, fully support the choice of the lone bomber on the clasp. It is an elegant and dignified tribute to all those who served their country in those dark days of the Second World War. Peter, I have not figured out how to post images, but here is a link to the Dieppe Clasp on the Veterans Affairs Website. I hope posting these images from their website is ok.
And here is the Hong Kong Clasp from the Veterans Affairs website. In my opinion the Dieppe clasp was over the top, and not in a good sense. The name "Dieppe" would have been enough but then it looks like an adolescent competition winner's entry was accepted for the design. The Hong Kong bar is much better with the HK in an oriental style between the two words. I think there is a fine like between good taste and junkly, which I think the Dieppe bar is. The Bomber Command may be understated but better that than trashing it out with a lot of other printed words or symbols. 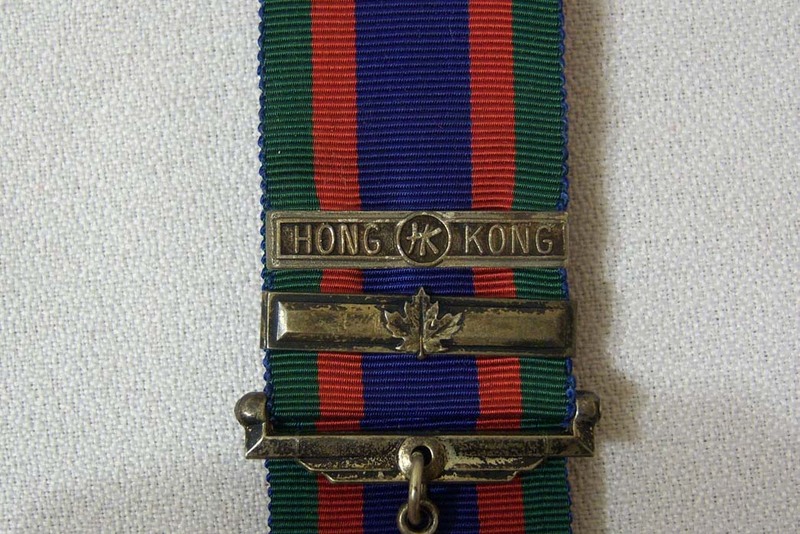 I've included an example of the Hong Kong bar which, going by the source of this medal and bar, is an original. Agree 100% with all the comments immediately above! Many vets received letters that the minister would personally present the bar to them while on a cross country tour. Below is just such a ceremony. 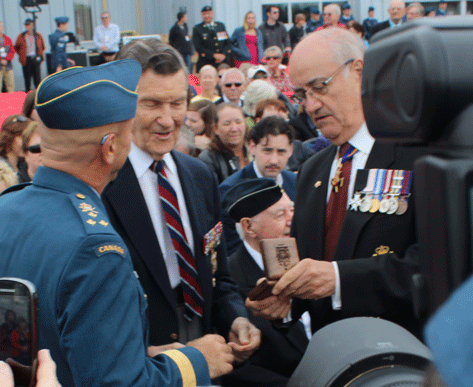 Brigadier-General (Retired) Jack Vincent Watts, DSO, DFC & Bar, receives the bomber command bar to his CVSM from Minister Fantino and the Commander of the RCAF at the Battle of Britain parade 15 September 2013 (photo Dean Black RCAFA).